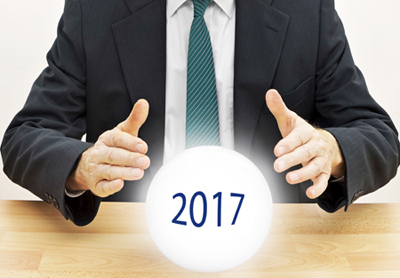 Speaking on a recent webinar entitled, “IDC FutureScape: Worldwide IT Industry 2017 Predictions,” IDC Senior Vice President and Chief Analyst, Frank Gens, revealed the research firm’s top ten trends these analysts predict will impact companies this coming year and beyond. In IDC’s nomenclature, DX refers to the application of digital technologies that fundamentally change business and the world at-large. It is the source of innovation and creativity for new business models, enhanced experiences, and improved financial performance. The third platform refers to cloud, social, big data and mobile technologies. These are IDC’s top ten 2017 predictions. By 2020, 67 percent of all enterprise IT infrastructure and software spending will be for cloud-based offerings; the cloud will morph to become distributed, trusted, intelligent, industry-focused, and channel mediated. By 2019, 40 percent of all digital transformation initiatives, and 100 percent of all effective IoT efforts, will be supported by cognitive/AI capabilities. In 2017, 30 percent of consumer-facing G2000 companies will experiment with augmented reality/virtual reality as part of their marketing efforts. By 2018, the number of industry collaborative clouds will triple to more than 450; by 2020, over 80 percent of the G500 will be digital services suppliers through Industry Cloud Councils. By year-end 2017, over 70 percent of the G500 will have dedicated digital transformation and innovation teams. By 2020, over 70 percent of cloud services providers’ cloud revenue will be mediated by channel partners/brokers. By 2020, all enterprises’ performance will be measured by a demanding new set of DX-driven benchmarks, requiring 20 to 100 percent better business performance. By 2020, one-third of health/life sciences and consumer products companies will begin to develop the first products and services tightly integrating third platform technologies with the human body; “augmented humanity” offerings will be mainstream in the mid-2020s. Will Self-Driving Cars Kill the Insurance Industry?